For New Year's Day we thought a bit of fizz was in order! 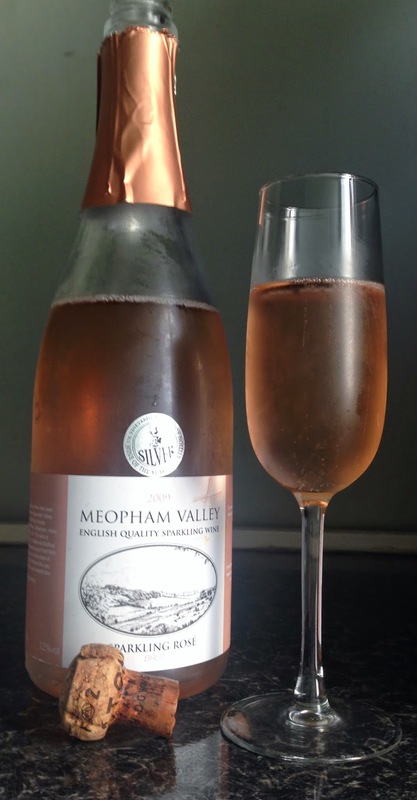 We tasted Meopham Valley's Sparkling Rosé at the Canterbury Food and Drink festival back in 2012 where the quality of this English sparkling wine really stood out and we've finally got round to drinking it. Meopham Valley is on Kent's North Downs and the vineyard have been making sparkling and still wines since 1991. This one won a silver award at English Wine of the Year, and a bronze at the Decanter World Wine Awards. It's a beautiful light salmon with a fragrant aroma of Strawberries and Raspberries with some yeasty, bready notes. This wine has a refreshing acidity, lots of fresh raspberry and lemon and lovely touches of summer flowers. It has a very long finish which really shows off the quality of the wine. A great wine to pop open on New Years Eve or at a summer evening garden party. Meopham Valley is available from Waitrose Cellar (where it's currently on offer) amongst other selected stockists. Thank you so much for the review, Even its bottle looks so attractive, but we can't drink this due to some religious boundaries.Well done!